By Christine Greyvenstein, ITWeb journalist. The next-generation Android 5.0 Key Lime Pie is reported to be an optimised OS and enabled to run on devices with 512MB of RAM. The upgraded version of Google's open source operating system, Android, will be released in October, according to sources familiar with Google's plans. In a report by VR-Zone, unnamed sources revealed the next-generation Android 5.0 Key Lime Pie would be an optimised OS and enabled to run on devices with 512MB of RAM. Android would be following in the footsteps of Microsoft and Apple, which both have optimised operating systems that support smartphones on the lower end of the scale. The sources further revealed that an Android 4.3 Jelly Bean update will be released in late August to make way for the arrival of Android 5.0 Key Lime Pie. The report also suggests the October release will correspond with the debut of the Motorola X smartphone. Motorola is rumoured to have sensors to enable the device to know what it going on in its surroundings. It is also said to support LTE and vanilla Android 5.0. While the search giant revealed several innovations at its developers' conference last month, it did not make any reference to its plans for Android. Apple, on the other hand, showcased iOS 7, which will be available on the iPhone 5, iPhone 4S and iPhone 4. The last update to the open source operating system, Jelly Bean 4.2, was released in November last year. Google has not responded to the reports. As predicted by industry experts and research companies, in the first quarter of the year, Android gained even more ground on Apple's iOS and is set to become the top mobile operating system in the world before the end of the year. 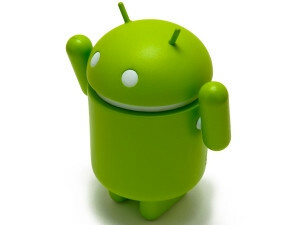 The International Data Corporation (IDC) predicts Android will increase its market share to 48.8%, in 2013, compared to 41.5% the previous year. Meanwhile, Apple's iOS is expected to decrease from 51% to 46%. In the smartphone market, the growth of Android continues with smartphone sales data from Kantar Worldpanel ComTech revealing Android continues to dominate the number one spot in the UK, with 58.4% of the market, and 49.3% in the US. According to Kantar, these figures are set to grow with new smartphone releases. Kantar says Android is the top-selling OS across key global markets, only beaten by iOS in Japan, and now accounting for 93.5% of the Spanish market. Last week, it emerged that Google is facing a European investigation into its promotion of Android OS to smartphone manufacturers. According to a report by the Financial Times, an anti-trust investigation by the European Union into the search giant is centred on allegations that Google is involved with anti-competitive deals with manufacturers. The report states Google has been accused of offering Android licences below cost value and influencing manufacturers' launch processes. The probe into the allegations against Google hasn't been formalised into an official investigation and is still at a preliminary stage.